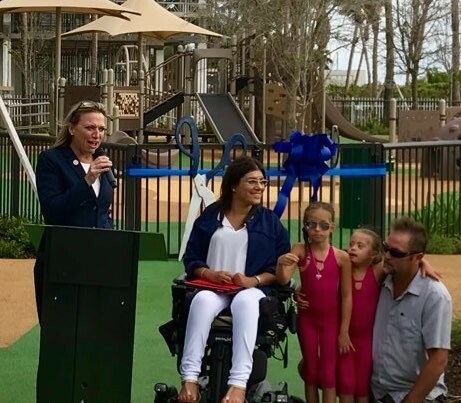 A groundbreaking ceremony was held this week at Allison Park, soon to become the City’s first ADA accessible beach and outdoor recreation and playground facility. 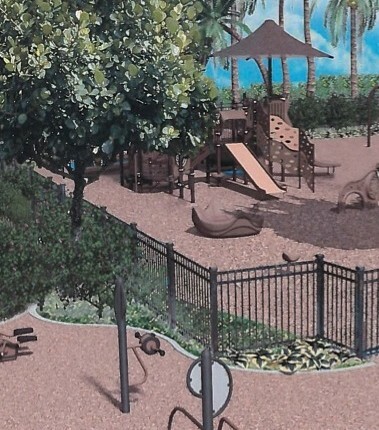 The work is expected to take six months and will include an ADA accessible playground, fixed seating and fitness equipment. New shade trees and sod will be added along with an artificial wood crossing over the dunes. The redesigned park will also include automatic restroom doors and a modification to the beach shower to accommodate ADA accessibility. Construction work hours are 8 am to 6 pm, Monday through Friday. Allison Park is located at 6500 Collins Avenue.